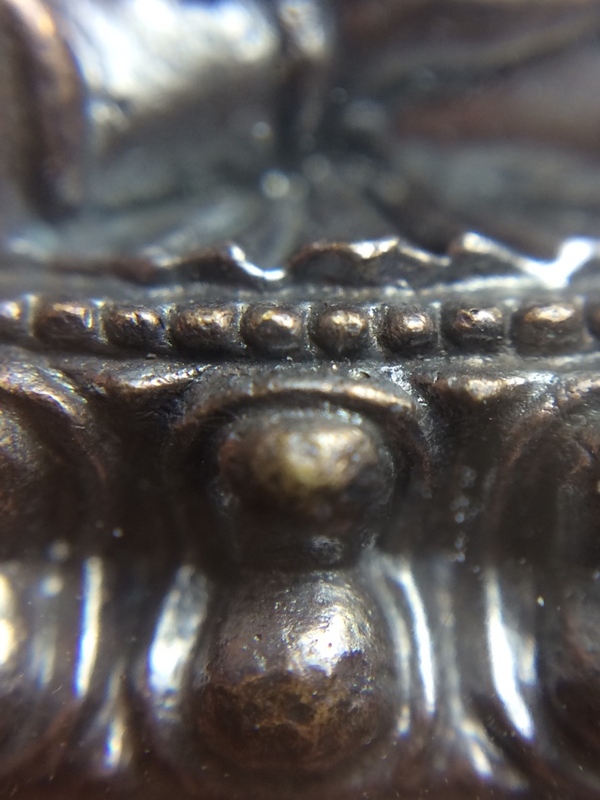 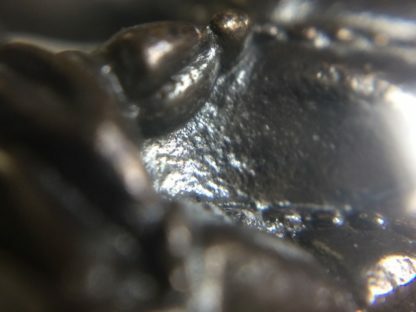 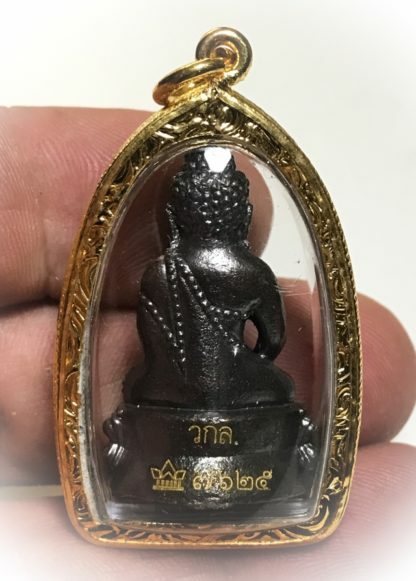 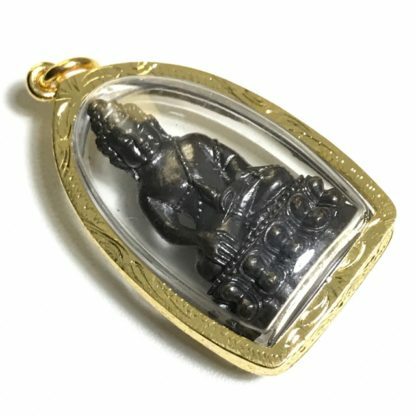 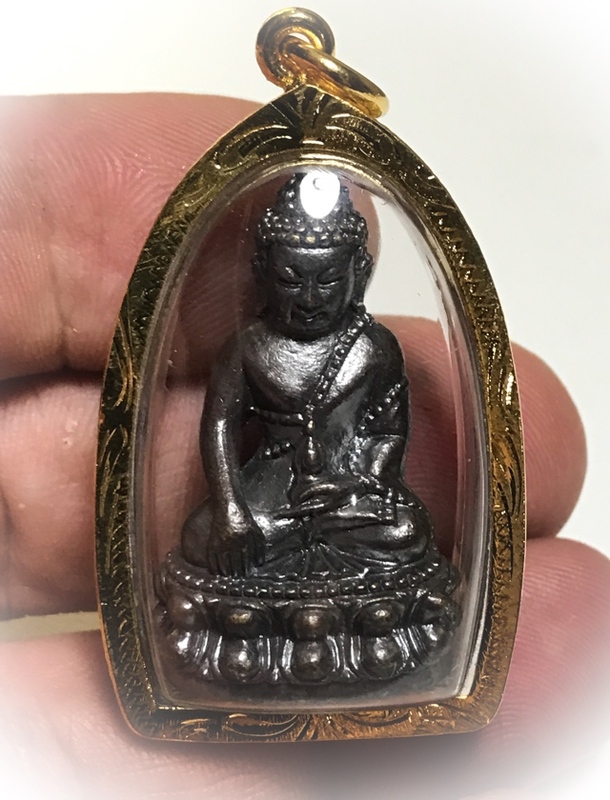 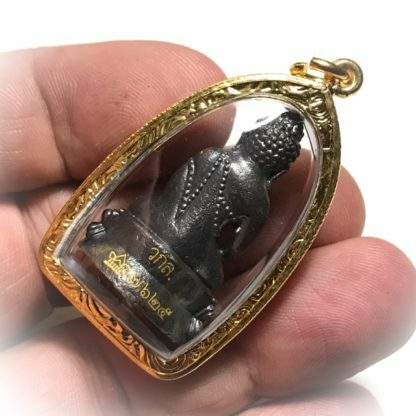 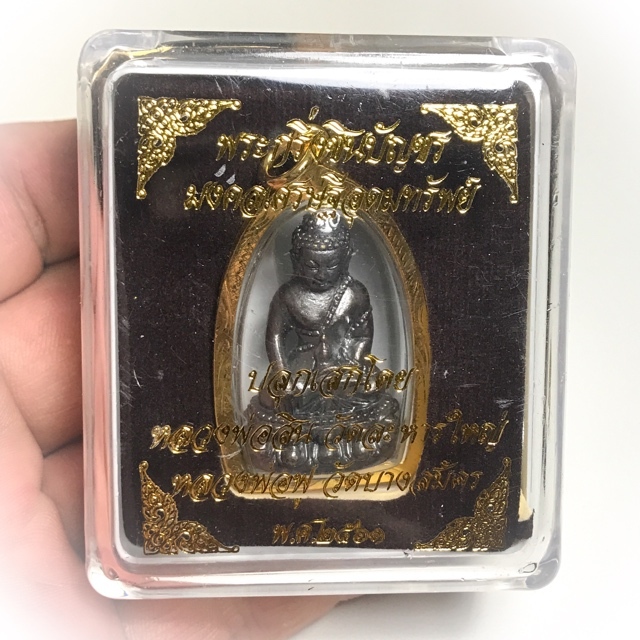 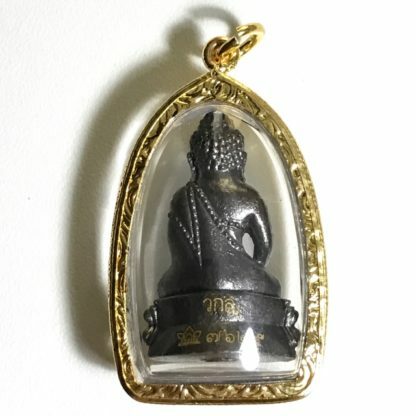 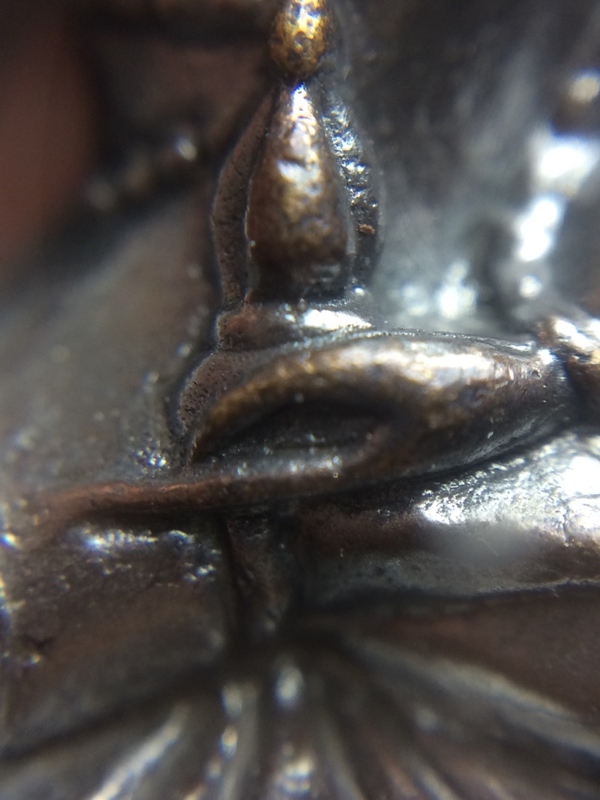 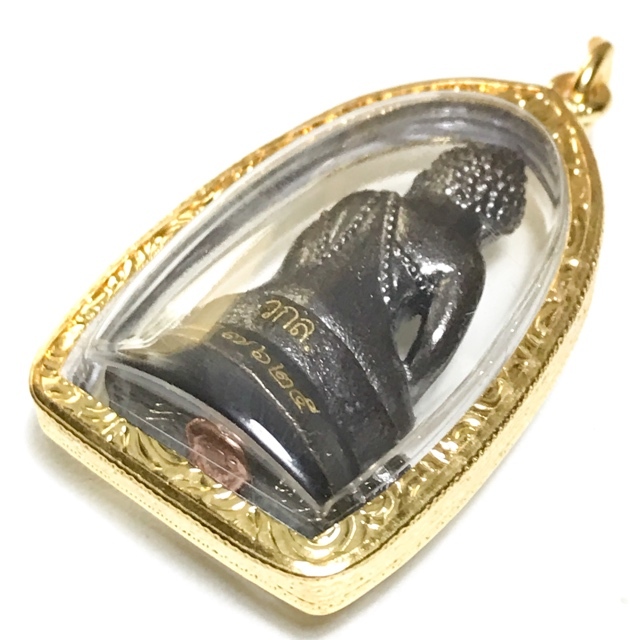 The Pra Kring Chinabanchorn Mongkol Sethee Udom Sap Medicine Buddha Loi Ongk Statuette, in Nuea Maha Chanuan Rom Dam, Blackened Sacred Alloy with Kring Bead Chanuan Rattle to resound the Medicine Buddha Mantra, from Wat Ka Long. 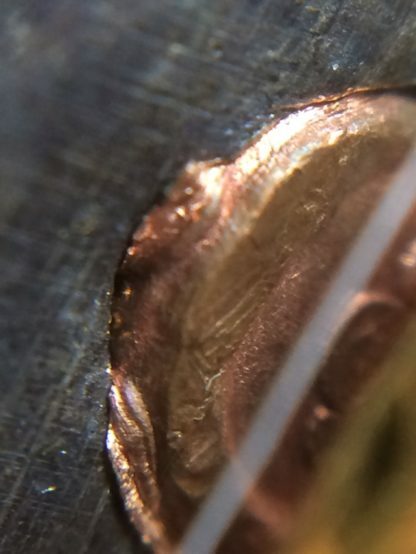 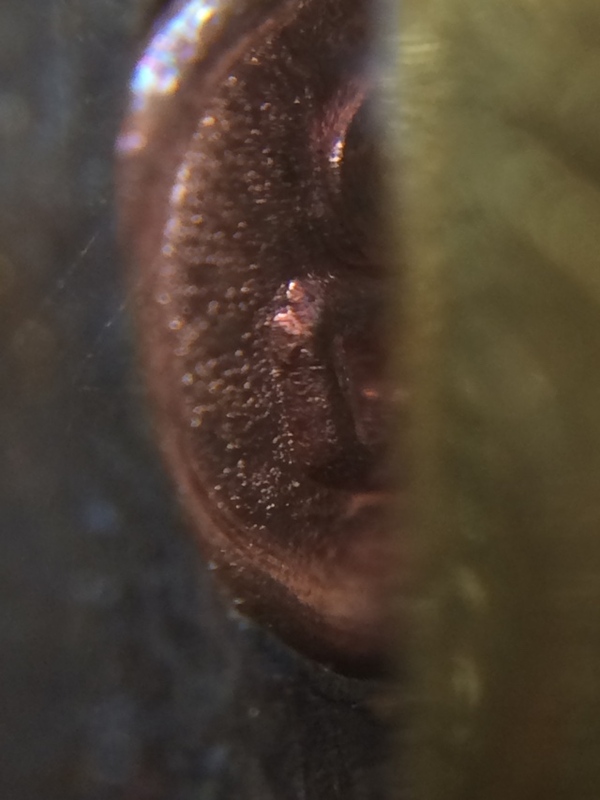 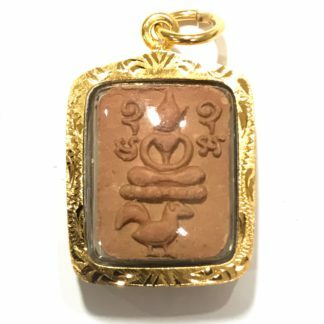 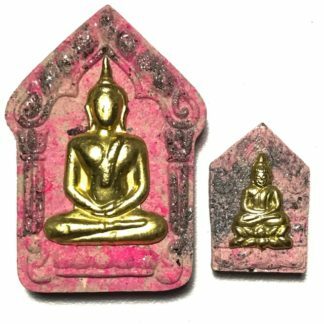 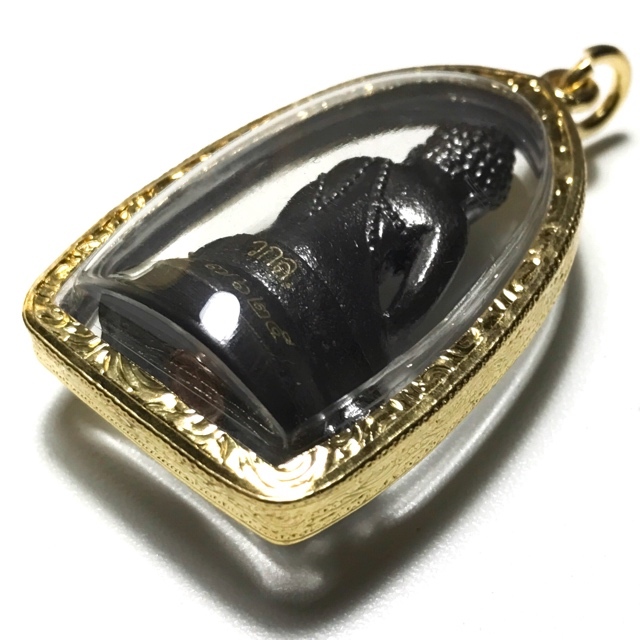 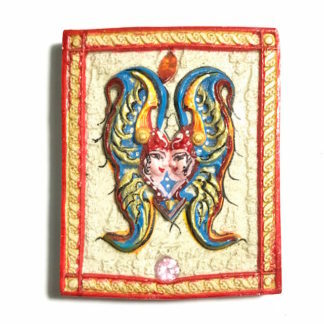 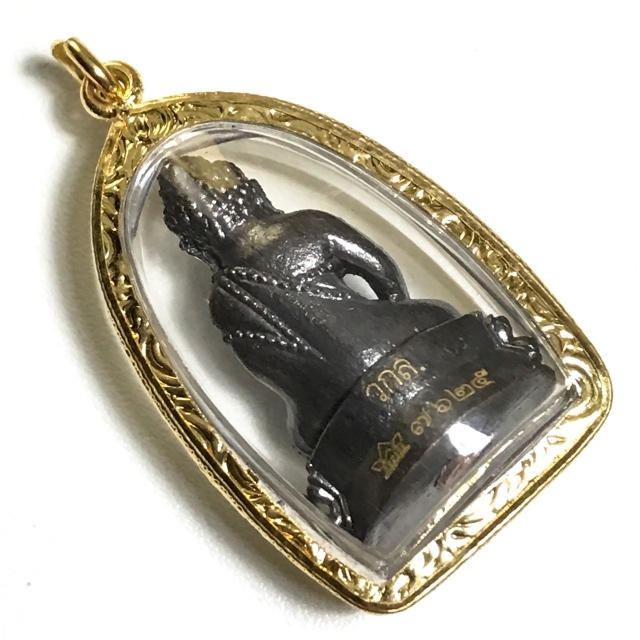 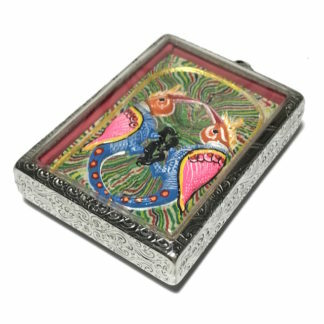 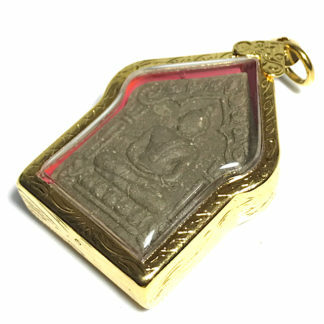 This amulet comes with gold micron brass casing included and original box from the temple. 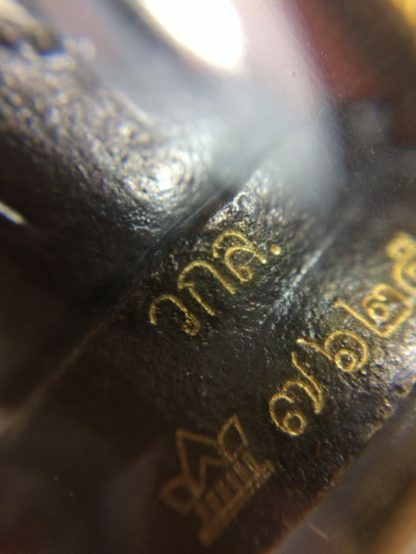 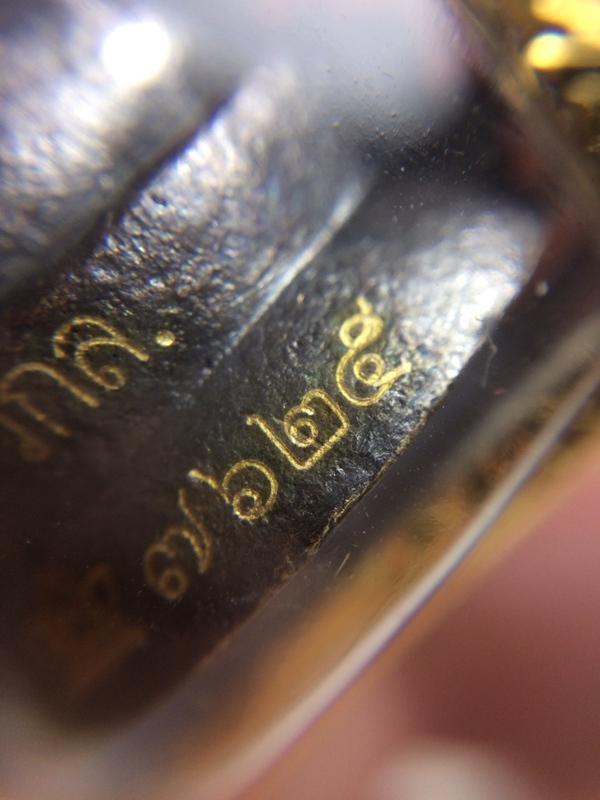 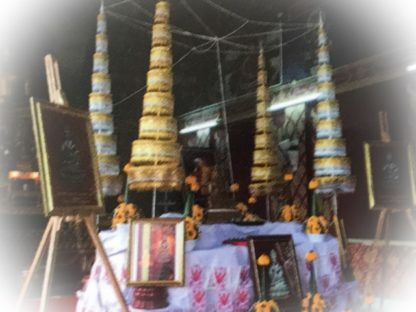 The edition was blessed in three different empowerment ceremonies, and was made using the finest Sacred Chanuan Muan Sarn ingredients, and is made in commemoration of the legendary Pra Kring Chinabanchorn of the Great Luang Phu Tim Issarigo of Wat Laharn Rai, whose famous Pra Kring Chinabanchorn became a ‘Dtamra’. 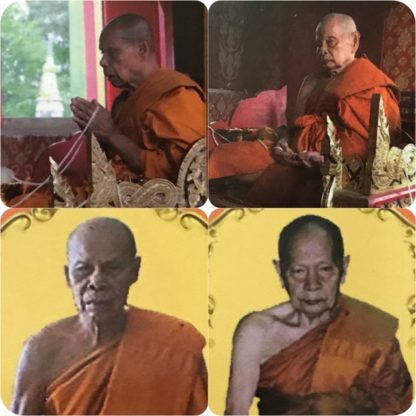 This Dtamra Pra Kring Chinabanchorn has been continued by his lineage apprentices and the Inheritors of his Wicha. 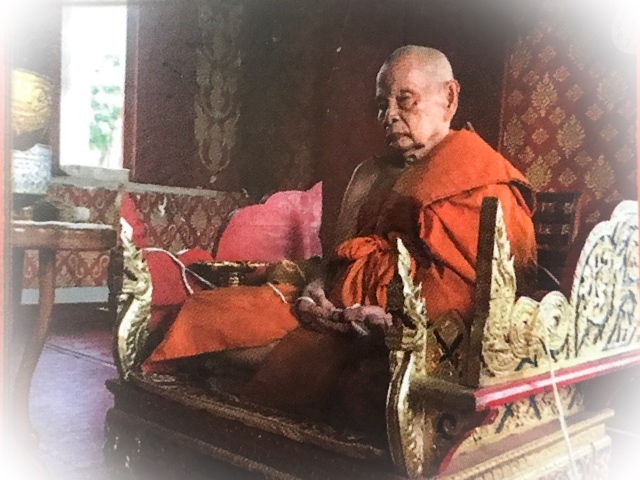 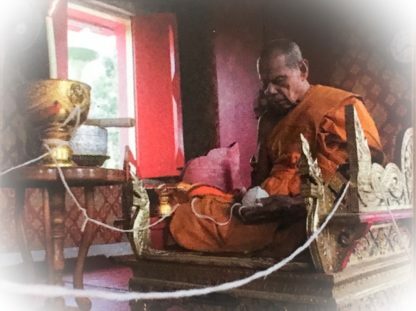 Blessed by two of the Great Disciples and Apprentices in Magic of Luang Por Ding (Wat Bang Wua), and the Phu Tim (Wat Laharn Rai) Lineage; namely Luang Por Foo Adtipato, of Wat Bang Samak, and Luang Por Sin, of Wat Lahan Yai. 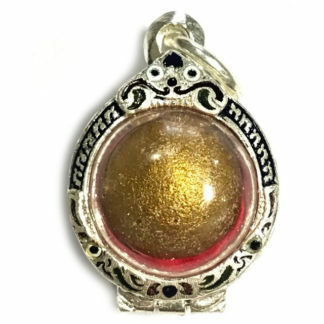 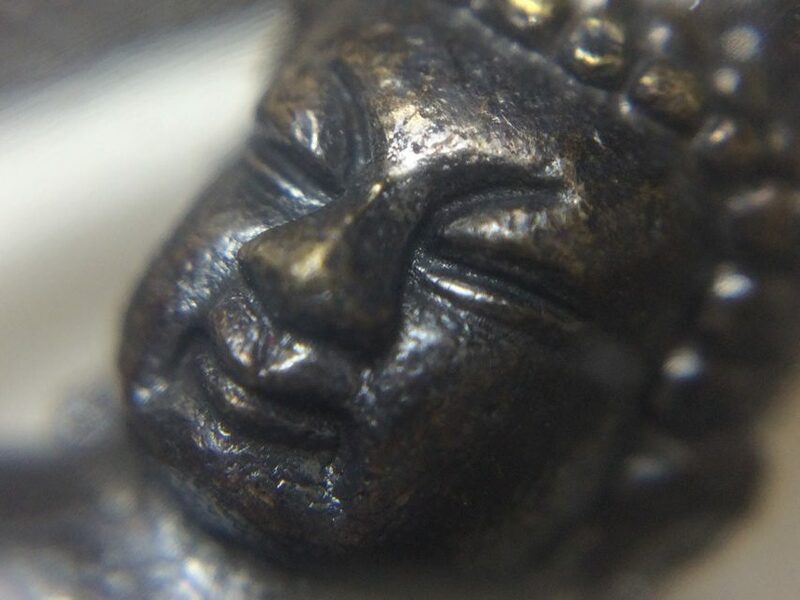 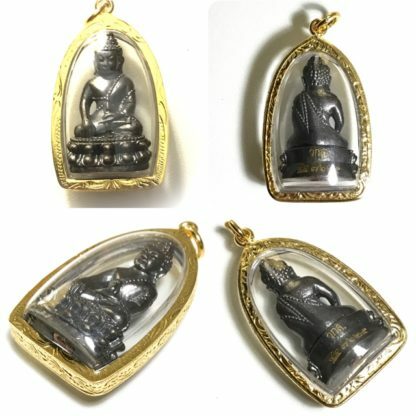 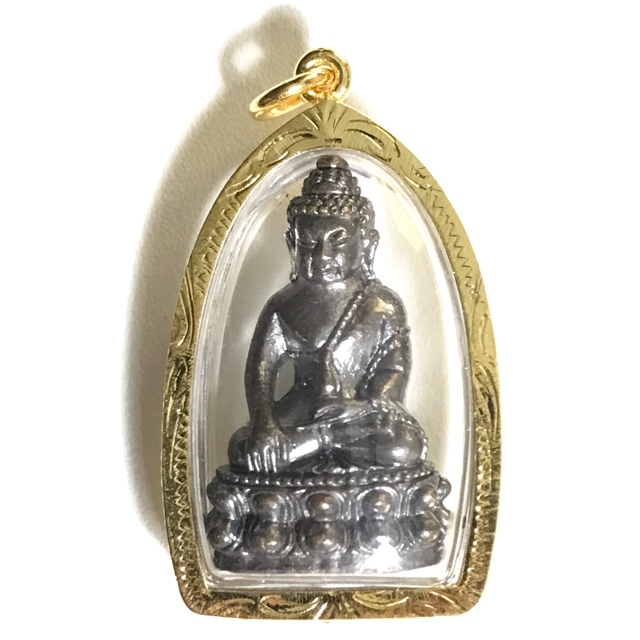 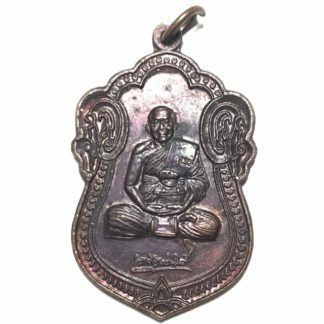 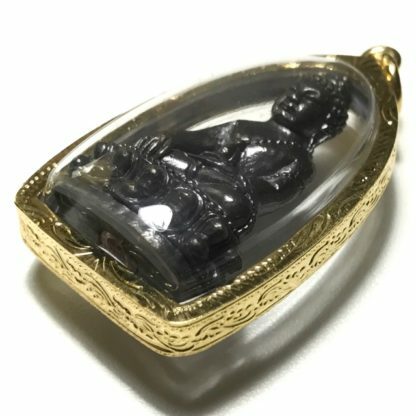 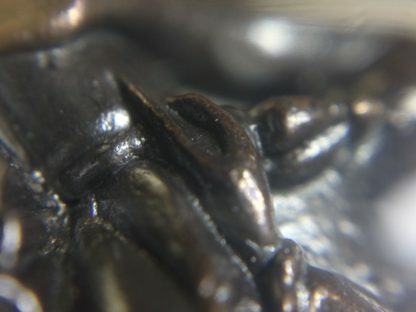 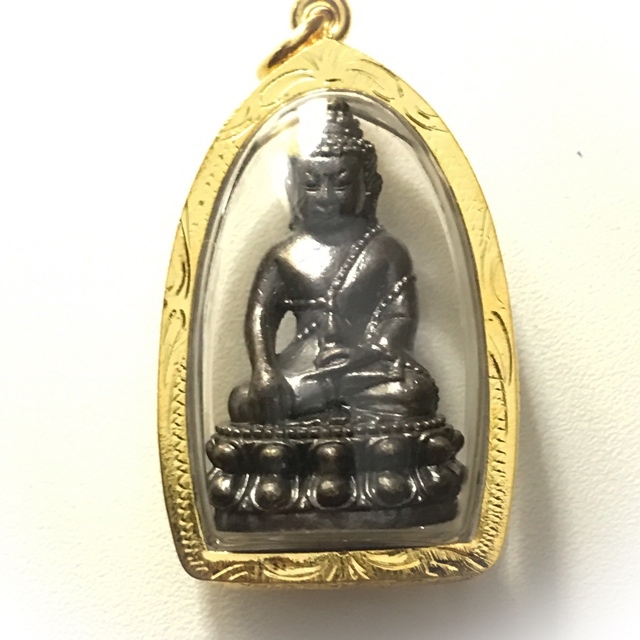 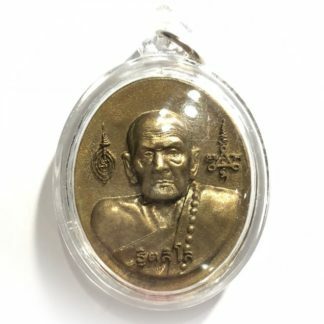 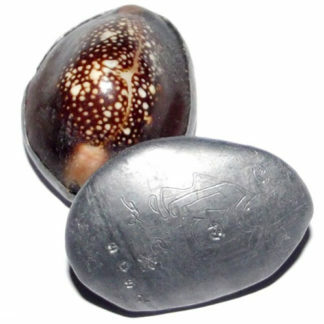 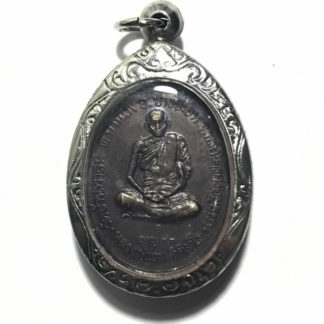 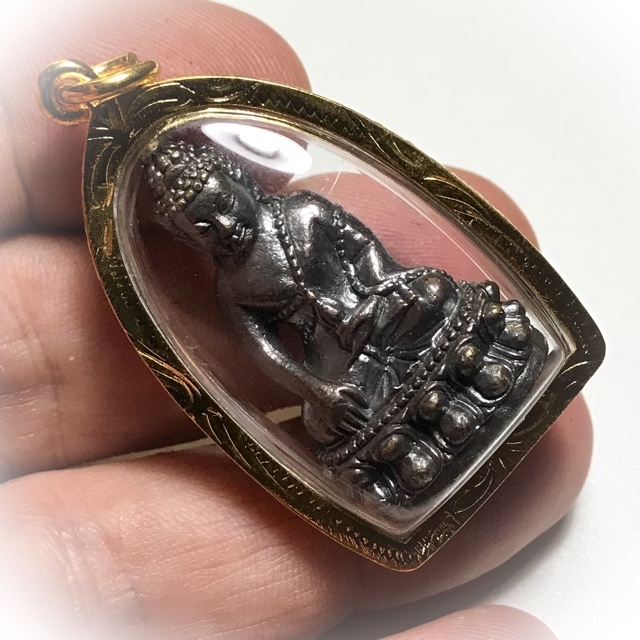 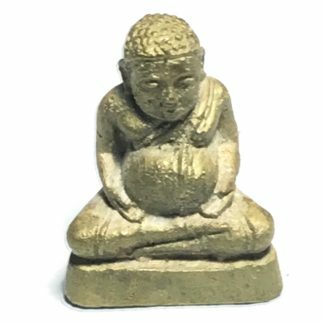 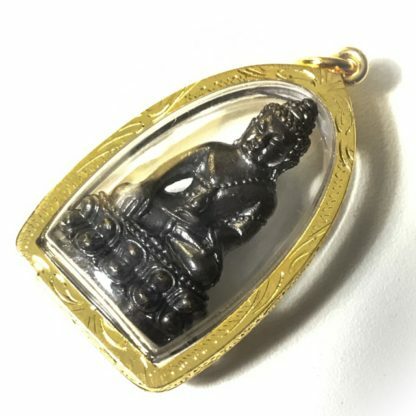 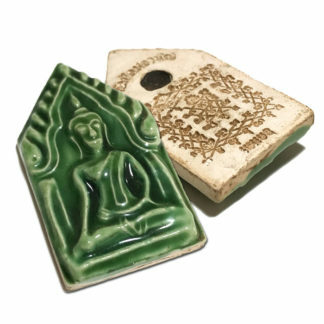 The use of the Pra Kring amulet as an object of veneration for this particular commemoration is with the intent of bestowing miraculous protection and healing powers of the Medicine Buddha to the devotee, with Serm Duang power for auspicious Karma, and as Buddhanussati (Mindfulness of the Buddha). 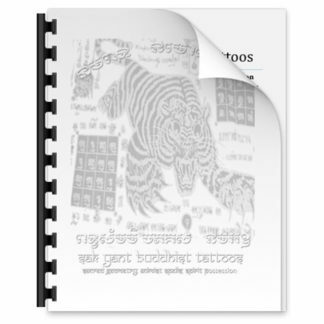 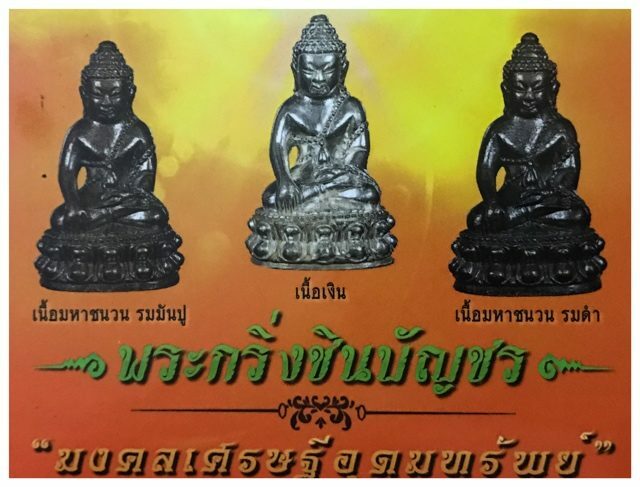 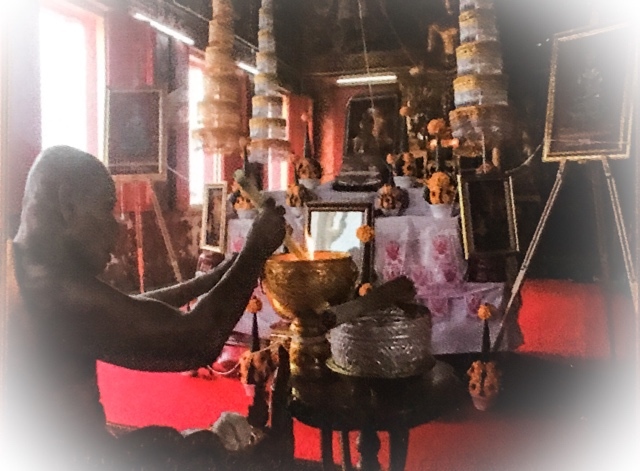 The beliefs about the Powers of the Pra Kring Wat Bovornives, are that the Pra Kring is the image of Pra Pai Sachaya Kuru (พระไภษัชยคุรุ Bhaisajyaguru, 藥師佛 Yàoshīfó, in Chinese, or in Japanese ‘Yakushi’). 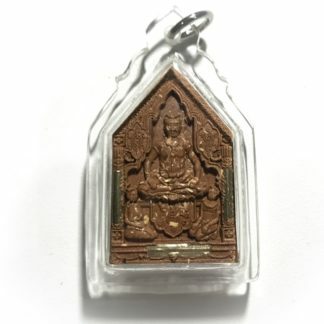 Pra Pai Sachaya Kuru (or, ‘Guru) is of course, the Medicine Buddha. 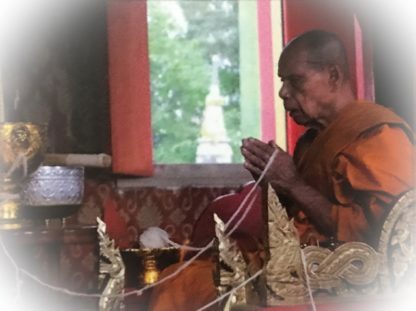 The second Blessing Ceremony was held on Saturday 10th March 2561 BE at Wat Lahan Yai, with Luang Por Sin Performing Blessings.